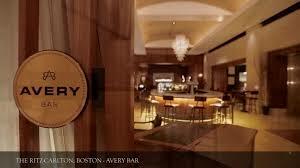 Continue the momentum and meet up with fellow B-School Alumnae by joining us at the Avery Bar! Women & Wine Wednesdays event is hosted by the MIT Sloan Boston Alumni Association. Feel free to forward this e-mail to other fabulous women in your B-school network. PLEASE NOTE: This networking event will be held the first Wednesday of every month – same time, same place. The easiest thing is to create a recurring calendar event so you won’t forget. Cash Bar. We will meet in one of the alcoves to the right of the bar. Parking: There is a public parking lot located under the hotel (entrance at 47 Boylston Street). Valet parking is also available from the hotel, but prices are much higher (e.g., 2 hours cost $32).